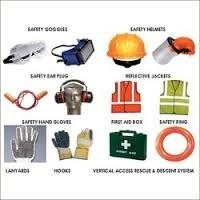 Enriched by our industry experience, we manufacture a wide range of these Personal Protection Equipments, by using quality grade raw material, in compliance with the predetermined quality standards, at the vendor’s end. 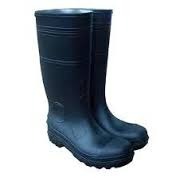 These have owned to their specific features like longer service life, sturdy construction, etc. These products are customized in various designs and patterns as per the client’s requirement. Our range includes the other products like Candle Power Rechargeable Lantern, 2.5 Million Candle Power Rechargeable Lantern, and Kentucky Mop Bucket etc. 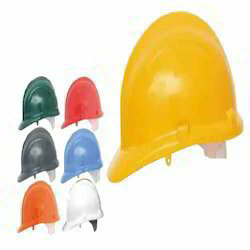 Safety Helmets offers protection from falling impact hazards such as bricks, tools and materials. It is recommended that helmets are replaced at a maximum interval of five years. This interval should be greatly reduced for helmets that have been exposed to extensive wear and tear, left in the sun, written on or have had any labels stuck on that do not have the correct adhesive. Helmets that have been damaged i.e. cut or scratched should be replaced immediately. Helmets should be regularly inspected for damage. Helmets offer a designated degree of protection from falling objects and are designed to provide head protection in line with EN 397: 2000. Fitted with 6 point cradle suspension, brow sweatband and is fully adjustable. A resilient plastic cradle which is adjustable to fit a range of head sizes from 50 to 66cm. A comfortable six-point terylene head harness and sweatband which is adjustable to fit a range of head sizes from 50 to 66cm. 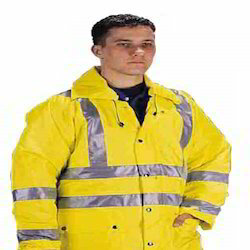 Waterproof High Visibility Coats are satin yellow polyurethane(pu) coated polyester with fixed nylon quilted lining. Two internal breast pockets, two exterior pockets with storm laps and rear access for corporate identity logo heat attachment. Heavy weight two way zip with studded storm flap knitted storm cuffs, concealed hood with draw-string. Fully taped seams. All highway jackets have 2x 50mm sleeve bands. uses 3m scotchlite retro-reflective glass bead tape. Penetration; class 1 (lowest) water vapour resistance. Bsen471 1994: class 3 area of fluorescent background and retro reflective tape. Bsen471 1994: class 2 retro reflective tape performance. yellow all tape bands are 50mm wide. orange all tape bands are 50mm wide. Available sizes & selection: fit according to chest size. This garment has a 20cm allowance built-in for comfort and to allow the garment to be worn over light layers of clothing. If bulkier clothing has to be worn underneath a larger size may be required. We offer AutomaticWeldingHelmetswhich automatically protects the operator from eye injuries and effects of U.V. rays at the time of arc welding. 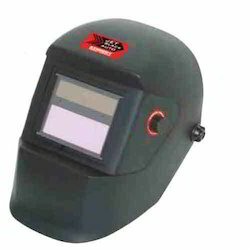 They are extensively used during welding operations by welders. These helmets are also extremely comfortable to wear and heat resistant. 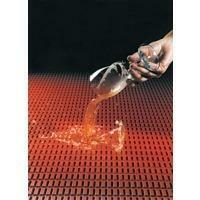 Our ranges of products are highly acclaimed by the customers for their durability and fine finish. We also supply these on the basis of clients' requirements. SiteSafe® fall arrest harnesses are certified to the highest safety standards (EN361) and are designed to fit the wearer comfortably without restricting their movement over extended periods of use. 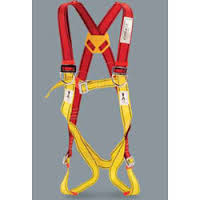 SiteSafe® full-body harnesses distribute fall forces throughout the body, substantially reducing the chance of injury. 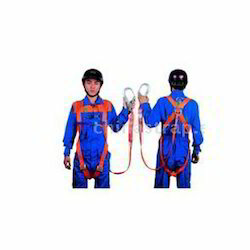 The full-body harness keeps the worker suspended upright in the event of a fall and supported while awaiting rescue. Fully adjustable designs so one size fits all. The range includes: 1 & 2 point fall arrest harnesses. 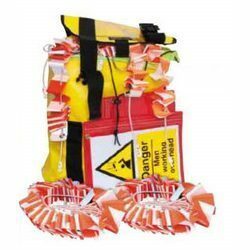 Two point full body harness manufactured from strong 45mm wide polyester webbing. Lightweight, durable comfortable and easy to put on ideal for all day comfort and use. Adjustable thigh and chest straps with metal buckles and back anchorage dorsal D-ring attachment. Two point anchor straps for extra harnessing support. Detachable work positioning belt with textile back support with adjustable strap with metal buckles and two D-rings. Two polyester/plastic 90mm D-rings and clip attachment at the rear. 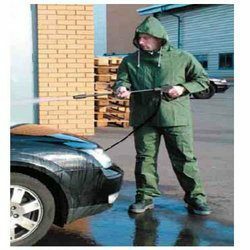 Waterproof Suits offered by us 100% waterproof hooded jacket with drawstring closure, storm front with plastic zipper, raglan sleeves with wind cut off, patch pockets with flap in the front and vented cape back and underarm vents for improved user comfort. The trousers have elasticated waist band, no fly front and press stud ankle adjustment. of preventing entry and redirecting foot traffic without the luxury of leaving someone to man the post. Perhaps it’s a more serious issue regarding security or safety and you need to seal off an area quickly and effectively How will one person be able to carry and install, on their own, over 50 meters of high visibility temporary barrier system all within a matter of minutes A nice thought but highly unlikely you say! Well, not any more, the reality is that such a product is here and now! Following lengthy research and a continued development programmer, the innovative‘Z Barrier’ is here to provide an effective solution that guarantees satisfactory barrier control in any environment. JetBlackAutoXis offered in rich black color and is appreciated for its optimum quality. 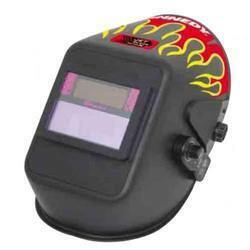 These helmets are able to withstand extreme temperatures and therefore acclaimed by customers. These are offered in several sizes and these helmets are available for customers at the reliable prices of the market. The unique designs of the head screens provide complete protection for face, neck and the front portion of the neck and the head. 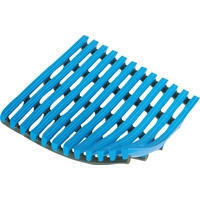 These are widely appreciated for their flawless design, optimum usage and excellent performance. KWDV55L Suitable for industrial and commercial use. 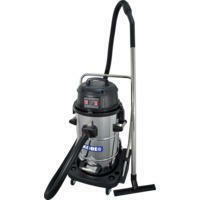 Two powerful motors, 1,200W and 2,400W for superior performance in cleaning large areas. Portable design with swivel stainless steel drum for easy emptying of waste and liquids. Trolley with two front swivel castor wheels for ease of movement and 2 large rear fixed wheels for enhanced stability. Supplied with: three metre vacuum hose, 2x stainless steel extension pipes, 38mm brush tool, crevice tool, squeegee tool, round brush tool, crevice tool, paper filter cartridge for dry vacuuming and cloth filter for wet vacuuming. 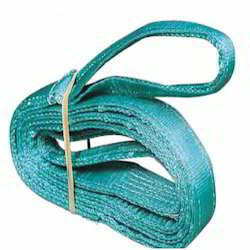 Suction hose: 3m. Capacity: 55 ltr. Weight: 25.5kg. Size (H x W x D): 880 x 490 x 540mm. 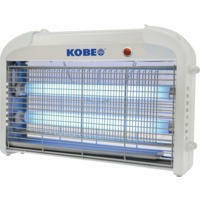 Kobe Insect Killers are a safe and hygienic way to eliminate flying insects. Features a protective outer mesh, low energy consuption and removable tray for easy cleaning. Suitable for suspending from a wall or ceiling. Supplied with hanging chain. 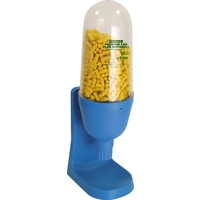 The dispenser is supplied with 1,000 TuffSafe® cordless earplugs. The dispenser is designed for durability and ease of use in the workplace. The ear plugs are dispensed singly simply by twisting the nozzle, the clear container allows the contents to be seen at all times helping to ensure you do not unexpectedly run out of earplugs. The dispensers can either be fixed to a wall or stood on a workbench. Ear plug specification: Cordless type, disposable for comfortable hearing protection without impairing normal communication. SNR: 37dB. Product conforms to EN352-2: 2002. Looking for Personal Protection Equipments ?